National Day of the People’s Republic of China is celebrated today. The present government came into being in 1949. Slightly smaller than the United States, China has a variety of habitats, from Mount Everest to deserts to tropics. About 1.349 billion people live in China, and the capital is Beijing. Nigeria celebrates Independence Day. In 1960 it became independent from the United Kingdom, and in 1963 it became a republic. The country, home to 175 million Nigerians, is a bit larger than twice the size of California, and Niamey is the capital. Cyprus celebrates Independence Day. The country became free of British rule in 1960. An island in the Mediterranean Sea, Cyprus is a little bigger than half the size of Connecticut. About 1.2 million people live in Cyprus, and Nicosia is the capital. Tuvalu celebrates Independence Day. In 1978 it became an independent country, but it is still part of the British Commonwealth. The fourth smallest country in the world, Tuvalu has an area about the size of 0.1 the area of Washington, DC. Located about halfway between Hawaii and New Zealand, the country’s three islands and six atolls support about 11,000 people. Funafuti is the capital. 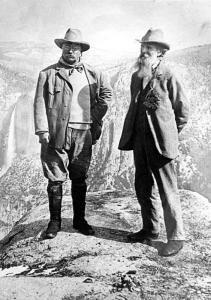 Yosemite National Park was established in 1864. Yosemite Valley and Mariposa Big Tree Grove combined to make the national park. Located in central California, the park encompasses over 700,000 acres. Over three million people visit the park annually. Children could visit the park’s website at: Yosemite National Park. The site presents some excellent multimedia presentations, and a great presentation on Moonbows is: Moonbows. 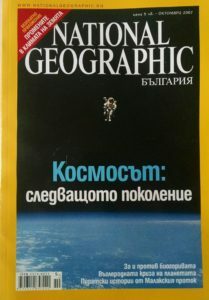 First issue of National Geographic magazine was published in 1888. Today the magazine has a circulation of more than five million, and it is published in 38 languages. Children can learn more at: National Geographic. World Series held its first game in 1903. The Boston Americans played against the Pittsburgh Nationals (or Pirates). Over 16,000 fans came to the game in Boston. Boston won the first game, but they lost the best-of-nine series to Pittsburgh. Jimmy Carter (born James Earl Carter in Plains, Georgia, 1924) is the thirty-ninth president (1977-1981) of the United States. He graduated from the United States Naval Academy. Later he became a Georgia state senator and eventually became the state’s governor. During his presidency, he faced high inflation. He was able to negotiate the Camp David Accord between Egypt and Israel, and he received the Nobel Peace Prize in 2002. 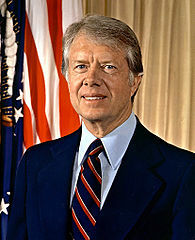 Children could visit a website at: Jimmy Carter. Idea: Mr. Carter has become very involved with Habitat for Humanity. Children could research the group’s goals and how they are accomplished. Brian P. Cleary (born Lakewood, Ohio, 1959) writes books for children. He is known for his humorous books about grammar, including Hairy, Scary, Ordinary: What Is an Adjective? Children can visit his very clever website at: Brian P. Cleary. Caroline Lavinia Scott Harrison (born Oxford, Ohio, 1832; died Washington, DC, October 25, 1892) was the first wife of Benjamin Harrison, twenty-third president of the United States. 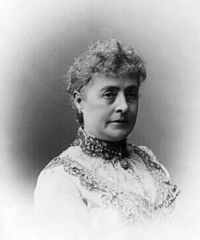 She succumbed to tuberculosis during Harrison’s fourth year as president. She helped create the Daughters of the American Revolution. Children could visit a website at: Caroline Harrison. Marc Harshman (born Randolph County, Indiana, 1950) is poet laureate for the state of West Virginia and an author of children’s books. His works include Only One and Red Are the Apples. Children can learn more at: Marc Harshman. Vladimir Horowitz (born Berdichev, Russia, 1904; died New York, New York, November 5, 1989) was a famous pianist. He performed in his first concert when he was sixteen years old. He became a United States citizen when he was 44 years old. One of his most memorable recitals was when he returned to Russia on April 20, 1986. Richard Stockton (born Princeton, New Jersey, 1730; died Princeton, New Jersey, February 8, 1781) was an attorney. Representing New Jersey, he signed the Declaration of Independence. A wealthy lawyer before the Revolutionary War, he tried to provide clothing and shoes to the soldiers. He was captured by the British and sent to a New York prison. When he was released, he was in poor health and in desperate need of money. He died before the war ended. Guinea celebrates Independence Day. France relinquished control in 1958. Located in western Africa, the land was the site of ancient caravan routes. The country is slightly bigger than the state of Utah, and Conakry is the capital. About eleven million people live in Guinea. Camel first appeared in the United States in Boston in 1721. It stood seven feet high and twelve feet long.